Assuming 8907 is still on STO property, is it possible that the STO is going to use this bus a part of their Historical fleet? A Classic(GM? MCI? Novabus? not sure which) as part of the STO next generation buses after the GM New Looks? Since the STO has only 1 Historical bus in their fleet, and assuming they want to expand the fleet, why not a Classic and since its a 1980's bus the last one of that decade that they switched from New Looks to classics? That is a great idea!!!! I think that would be wicked AND feasible because the ex-Calgary classics could become parts busses (and if you have 7 buses [the three retired ones have been parted out already] feeding one bus, you have a lot of extra parts. I was already intending on going to the STO board meeting this Thursday so I will definitely bring it up! It would not be feasible. Tax payers money would be used and during my first trip back in 2015, all their original and some Calgary Classic's including 8907 were in very rough shape. Be lucky that you can get photos and be lucky that they still have 7901. 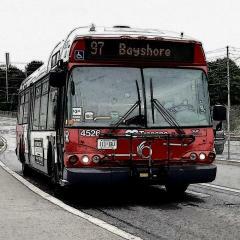 So now that leaves the STO as the last major transit system in Canada to run a fleet of Classics! Not necessarily. There are many systems in Quebec and a few left running Classic's. Iirc Mont Trembent has some ex RTL Classics running. Spotted 9224 and 9136 about a week ago. Are you sure it's not 9225? 9224 was reported retired last year. Spotted a Classic Monday on Wellington, but I was too far away to catch the fleet #. Are you trying to tell us that it's been put back into service? Oh for Christ sake, is 9224 active or retired?.. Yes it is what? Retired or active? Do we really need to be subjected to this kind of crap on the forum? Get a grip and grow up the lot of you. but no, 9224 is retired and completely parted out. I don't think it's time to start an STO 02-04 retirement watch right now. We will need further proof if they starting to retire or not. I think it would have been better if you posted this in the STO spottings thread since this is a personal STO spotting. Doesn't surprise me. The 2002s are 17 years old. You can tell if its an 02 just by the A/C unit on the roof.